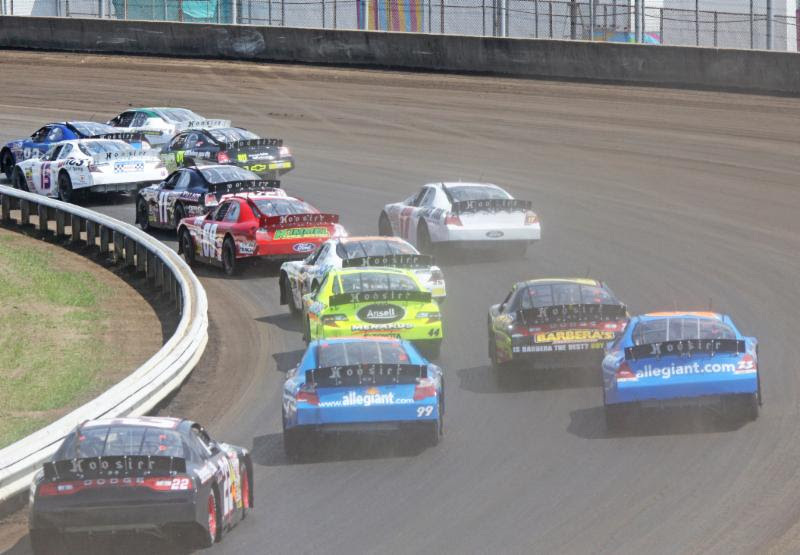 (TOLEDO, Ohio – August 5, 2015) – The 53rd running of the SuperChevyStores.com 100 at the Illinois State Fairgrounds mile-dirt in Springfield is coming Sunday, August 23, followed up by the 62nd annual Southern Illinois 100 at the DuQuoin State Fairgrounds mile-dirt Labor Day Monday. Back-to-back ARCA Racing Series presented by Menards dirt track adventures are on the way. Here’s what some of the drivers are saying about racing on dirt. Will Kimmel: “It’s the best part of our schedule. If I could pick my top three places I’d most like to win at, it’d be Daytona, Salem and Springfield or DuQuoin. Racing these big heavy ARCA cars on dirt is the real deal; we should be doing more of it. Only thing better than running Springfield and DuQuoin is if we ran at night. Should have a dirt road course on the schedule,” Kimmel added half-jokingly. 10-time ARCA Racing Series national champion Frank Kimmel is the all-time Springfield winner with eight wins, his most recent in 2012. Kimmel is already scheduled to drive the No. 25 Ansell-Menards Toyota at Springfield. NASCAR veteran and former Springfield winner Ken Schrader is also expected to enter the race. Former SuperChevyStores.com/Allen Crowe 100 winners include Curtis Turner (’63), Don White (’66, ’67, ’72), Al Unser (’72), Jack Bowsher (’73), Roger McCluskey (’74), Ramo Stott (’76, ’77, ’80), AJ Foyt (’79), Joe Ruttman (’80), Dean Roper (’81, ’82, ’83, ’83, ’85, ’86), Bob Keselowski (’87, ’88, ’89, ’93), Bobby Bowsher (’91, ’92), Tim Steele (’96, ’97), Schrader (’98), Bill Baird (’99, ’04), Justin Allgaier (’06), Parker Kligerman (’09), and Kimmel (’00, ’01, ’02. ’03, ’05, ’07, ’08, ’12). Germantown, Tennessee’s Kevin Swindell won last year’s race in a Venturini Motorsports Toyota. Practice for the SuperChevyStores.com 100 is scheduled from 9:00-10:00 a.m. with Menards Pole Qualifying presented by Ansell following at 11:15. The 53rd annual SuperChevyStores.com 100 starts at1:30 p.m. All times are local.